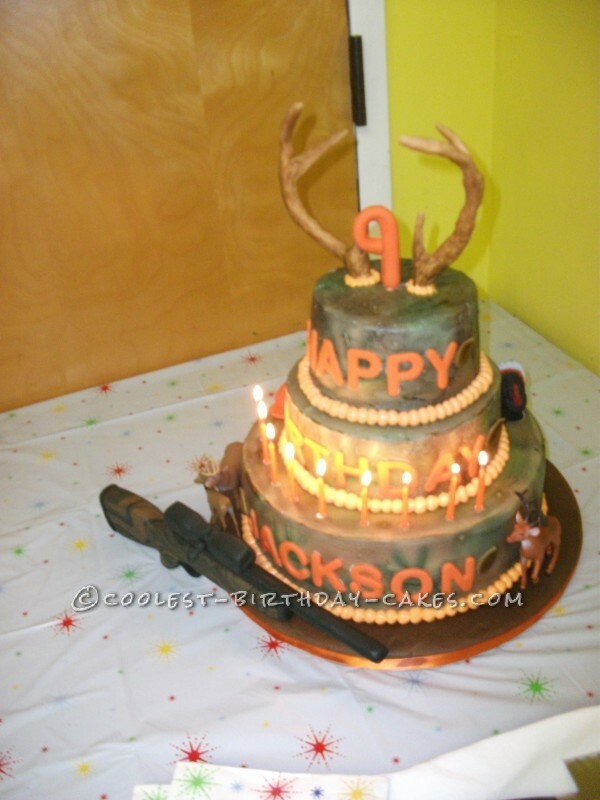 This is my camo hunting cake complete with edible antlers and an edible chocolate rifle with scope. I made this in March 2013 for my son’s 9th birthday. 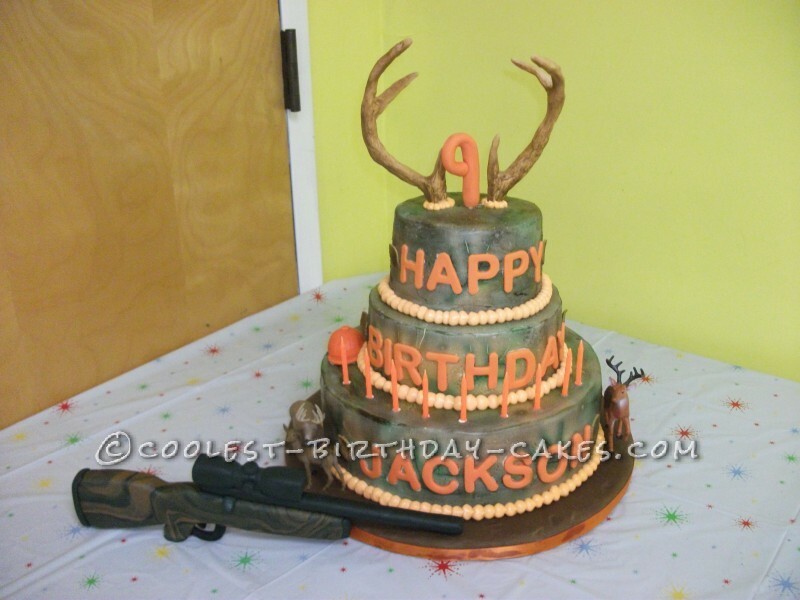 He loves to go hunting with his daddy and this is what he ordered. I am far from being a professional baker (maybe one day!!) but I think it turned out really awesome! The cake is vanilla and chocolate with my divine Swiss butter cream icing. 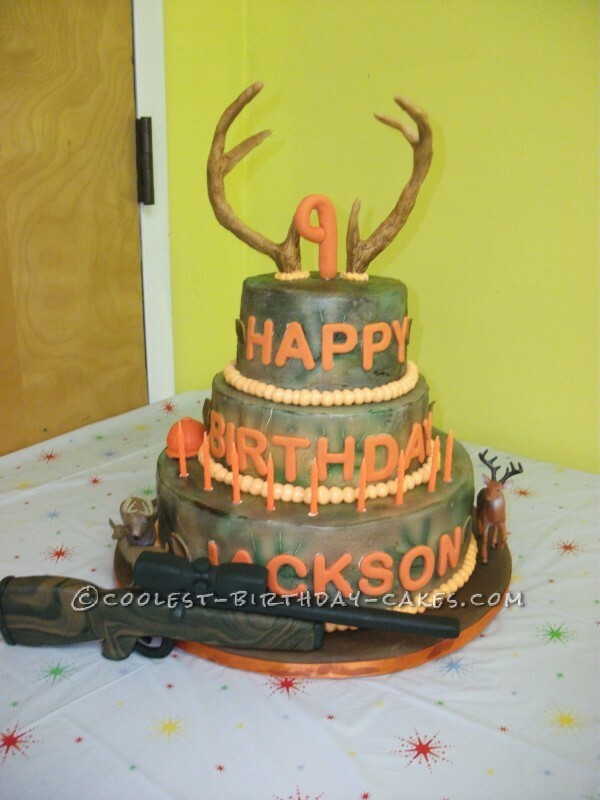 I airbrushed the icing in camo colors (I think that part could be better). 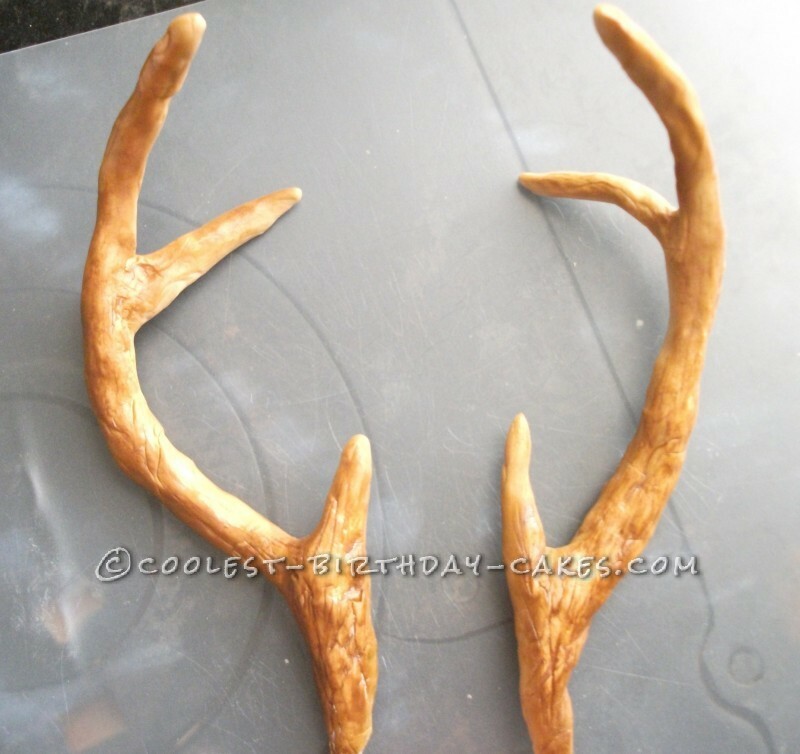 I hand sculpted the antlers from fondant/gumpaste and airbrushed some details on them several weeks ahead to be sure they would be dry on time. 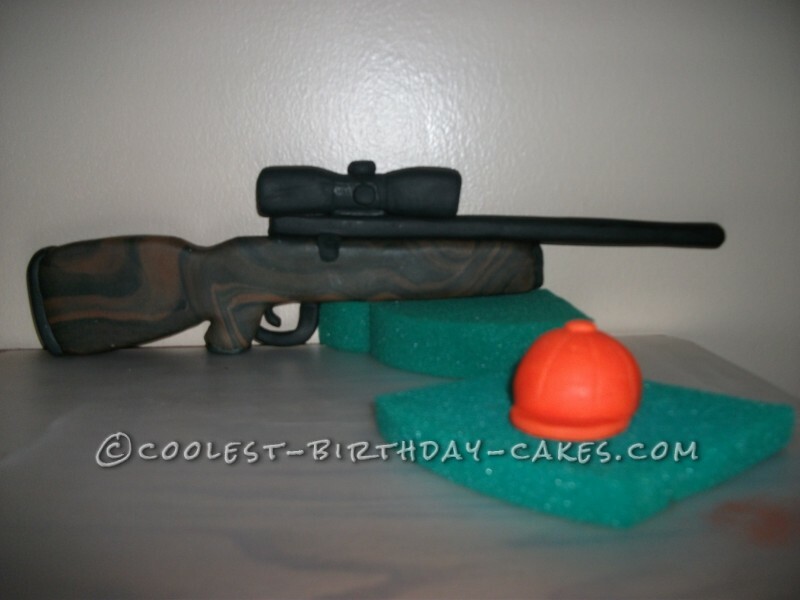 The chocolate rifle and scope I made all by hand from modeling choc and fondant (without the help of molds or models might I add). Neither of them were very easy seeing as it was my first attempt at both but, thank goodness they turned out fabulous on my first try. I was soooo excited! After every thing was said and done I believe it turned out great!! My son was besides himself over this cake! BEST BIRTHDAY EVER he said! 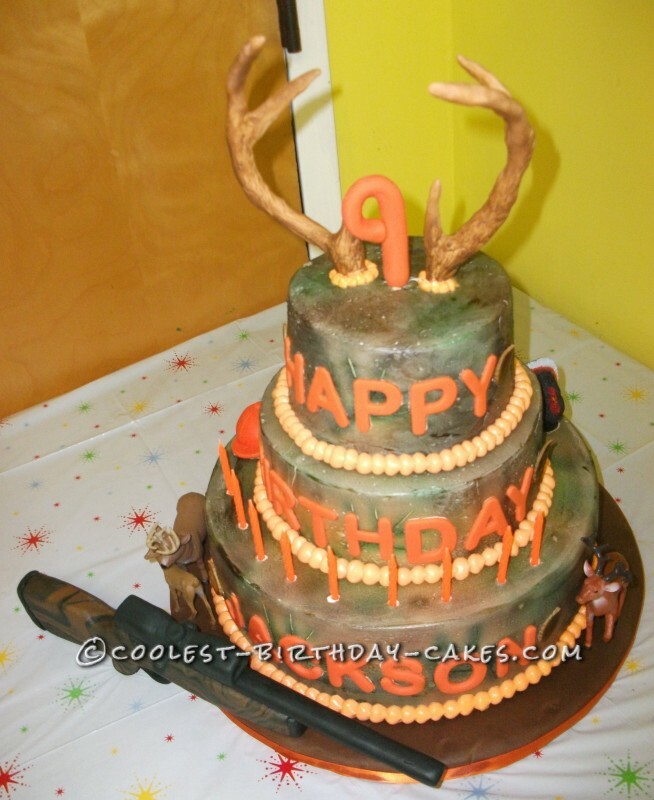 Even after one antler fell off on the way to the party but I fixed that and no one ever noticed!